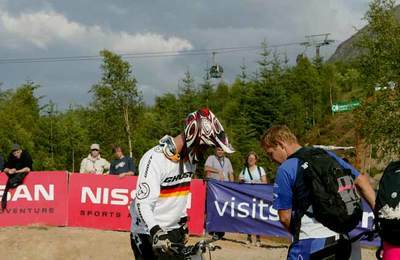 Visit Fort William presents information about mountain biking in the Fort William and Lochaber area. 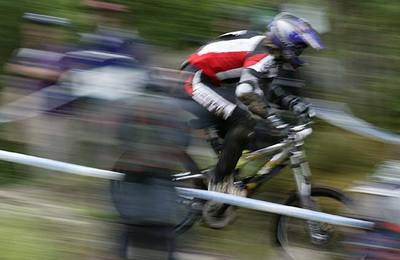 Cycle shops, mountain bike hire and bike sales. 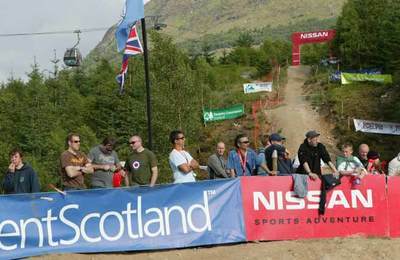 Dave Franciosy, Marketing and media Manager, of www.britishdownhillseries.com has provided us with a fantastic video taken on the Nevis Range downhill course on Aonach Mor - hope you enjoy it ! 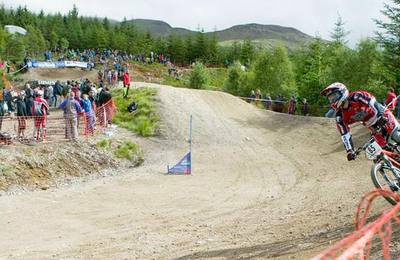 For local mountain bike hire and expertise look no further than long established Off Beat Bikes who have a great bike shop in Fort William High Street. 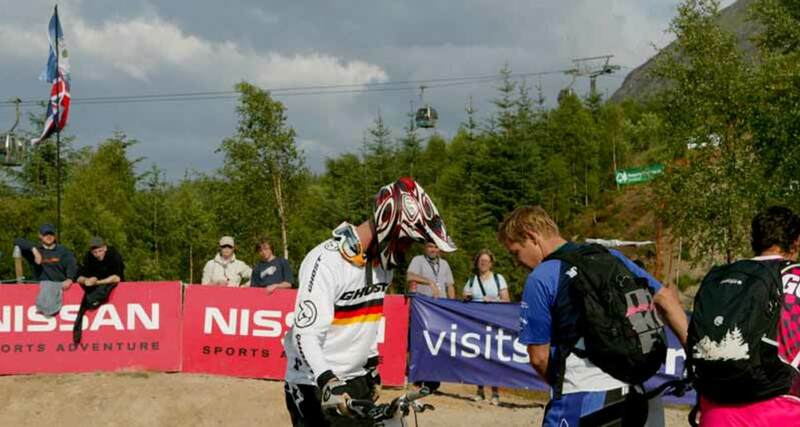 UCI - the world governing body for mountain biking brings world-class bikers from countries all over the world to compete at Nevis Range in Fort William - one of the largest outdoor events in the calendar year with thousands of spectators from all over Europe and beyond. 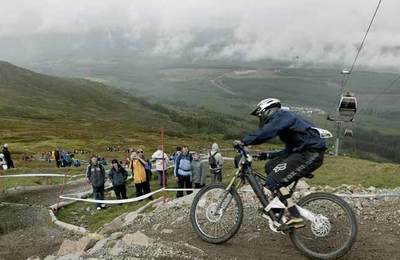 Fort William has a superb cycle track which allows all cyclists and walkers to get to and from the town centre in a pleasant and safe manner. 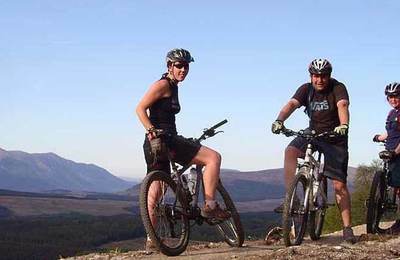 It's possible to hire a bike in Fort William and cycle all the way to Nevis Range in Leannachan Forest on a safe cycle-way, without having to journey along the busy A82 trunk road. 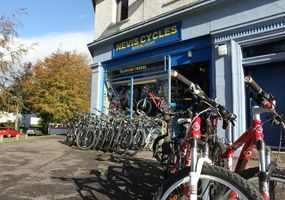 Fort William has two well-established cycle shops and both operate bike hire. 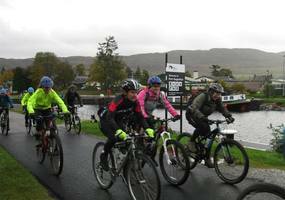 Other providers in other areas of the Lochaber area also provide a good service to cyclists. 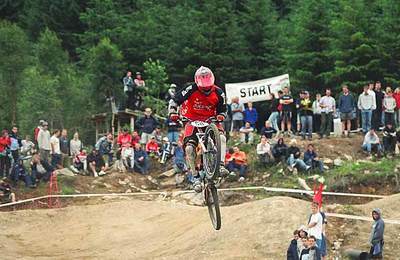 Off Beat Bikes have a great bike shop in Fort William High Street and look forward to hearing from you for cycle and mountain bike hire. 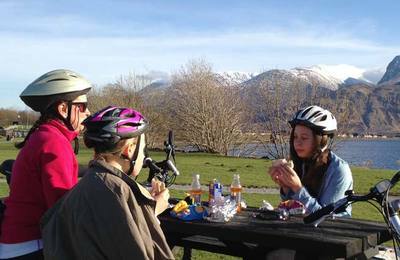 All around the Lochaber area are hundreds of kilometres of cycle tracks, forest paths to enjoy. 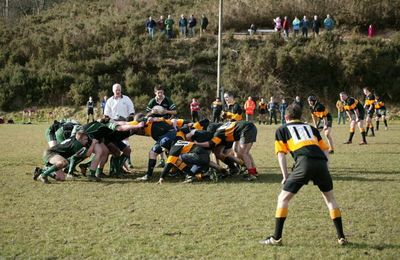 really good spectator sport !